The truth about omega-3 supplements may be hard to swallow. In his book “The Omega Principle,” author Paul Greenberg looks at the history, science and business behind the billion-dollar supplement. WASHINGTON — Each year, millions of Americans shell out billions of dollars for omega-3 supplements — a pill (or powder or gummy) that’s promoted for reducing inflammation and improving cardiovascular and mental health. But for some, the full story behind the supplement may be hard to swallow. In his book “The Omega Principle: Seafood and the Quest for a Long Life and Healthier Planet,” Paul Greenberg examines the history, science and business behind the billion-dollar supplement to better understand its impacts on human health and the health of the environment. Short for omega-3 fatty acids, omega-3s are a type of fat found in the human body and in food — most commonly fish, although some plants contain a different type of omega-3 fatty acid that the body can convert to the two key omega-3 fatty acids. Omega-3s play an important role in brain function and inflammation, and Greenberg said because of these factors, the fat has become a major part of the supplement industry. But research shows swallowing a softgel doesn’t provide the same health benefits as slurping an oyster. 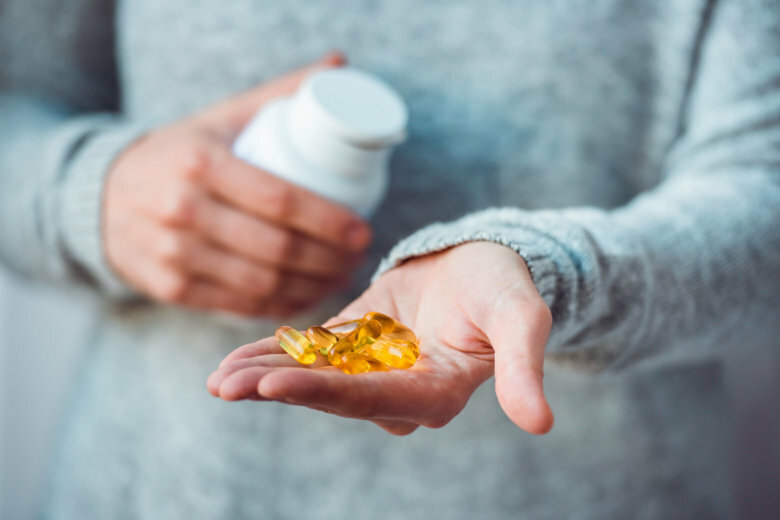 An analysis from the National Center for Complementary and Integrative Health found omega-3 supplements do not reduce the risk of heart disease. However, people who eat seafood one to four times a week are less likely to die from the condition. The same report says supplements may help to relieve symptoms of rheumatoid arthritis, but for most other conditions, the research is inconclusive. “The [supplement] industry suggests that it’s because we’ve come up with all these other ways of addressing coronary heart disease in the last 10, 20 years — stints, statins, all these kinds of things,” Greenberg said. The government’s Dietary Guidelines for Americans recommends that adults eat 8 or more ounces of seafood per week. A 2015 Fisheries of the United States report from the National Oceanic and Atmospheric Administration found Americans eat about half that. How are omega-3 supplements made? In “The Omega Principle,” Greenberg dives into the reduction industry, where small fish (anchovies, herring, sardines) are taken from the oceans and boiled down to a dust-like material (fishmeal) and oil. “Previous to the discovery of omega-3s and the supplement industry, all of those little fish were used for a number of agricultural purposes — fertilizer, to feed chickens, to feed pigs, to feed salmon, and now it’s the omega-3 industry,” said Greenberg, who added that the reduction industry removes 20 to 25 metric tons of ocean life from the sea every year. “And that’s the equivalent of the human weight of the United States taken out of the ocean each and every year,” he said. Some might argue that these little fish are insignificant, but Greenberg said they’re a “keystone species,” that serve as an “interface” between the plankton and larger marine life. “If there weren’t these little fish that translate energy, if you will, from plankton to higher things like tuna and whales and so forth, then we wouldn’t have as productive of an ecosystem,” he said. Instead of popping a pill, Greenberg said getting omega-3s directly from the source (aka: sustainably harvested or sustainably grown fish) could be better for everyone. The fish most commonly caught for the reduction industry are not only edible, but fashionable in food. Plus, Greenberg said subbing in clams, oysters and mussels for other animal proteins — namely meat — a few days a week could improve human health and the health of the environment. The Food and Agriculture Organization of the United Nations reports cattle is responsible for about 65 percent of the livestock sector’s greenhouse gas emissions. “I want [readers] to embrace a way of eating that balances themselves and balances the planet,” said Greenberg about the take-away from his book.